Viking themed slots are quickly becoming a favourite for many slot enthusiasts. From the heavy and powerfully armoured characters to the ancient Scandinavian environment and brutal weapons, there are plenty of things to discover and enjoy. If you are a video slot fan, you are not a newbie to playing themes of Viking and Norse Mythology. Over the years, the online casino industry has seen the launch of many games and games providers from Scandinavia. Viking slots depict the distinctively unique cultures and history of the giant-bodied Viking civilisation. 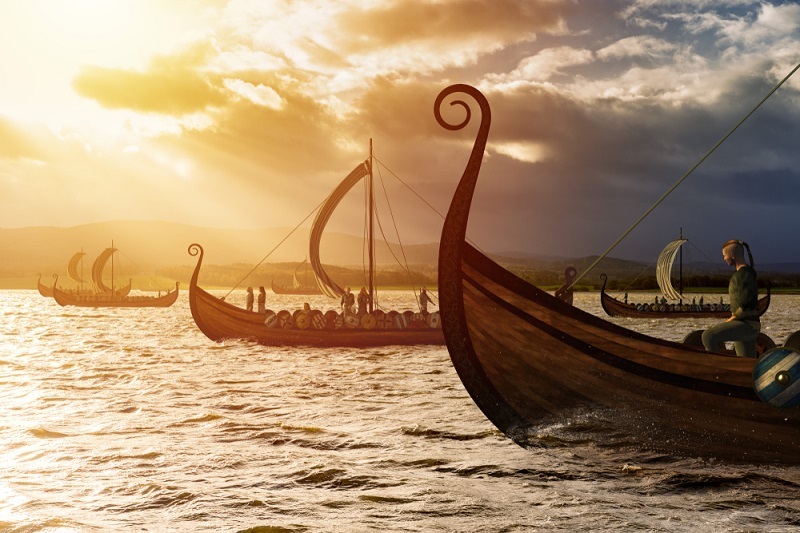 Vikings have a rich history as Nordic people who were mostly in the sea, carrying out ruthless raids from the North of Europe to the rest of the continent. It is no surprise that many of the dominant gaming providers have created a wide selection of Viking slots games, an experience with ‘ancient gods’ and impressive mythological gameplays. Here are some of the best Viking themed slots in the market. Play n’ Go’s Viking Runecraft is a cascading slot with a 7×7 grid and many symbols. Viking Runecraft symbols are beautifully designed, to transit you to the ancient Viking world. Symbols include a high-paying pendant, a war axe, a huge hammer and a Viking helmet. The Viking theme is also highly visible in the special features offered in this game. Special features include Gift of the Gods (Thor, Freya, Odin and Heimdall), Runes of Valhalla, Charge of destruction and Ragnarok. You can check it out at Betsson. Vikings Berzerk is the thrilling sequel to the already popular slot; Vikings Go Wild. If you are looking for a Viking slot with advanced graphics and an absolutely captivating ‘Vikings’ gameplay, then Vikings Go Berzerk is a brilliant choice. This slot will grab your attention and take you to a Viking scene of battle at sea. In a game of Vikings Go Berzerk, keep your eyes on the treasure. Get into your Viking hunter mode and hunt for the Treasure Chest and the Golden Treasure Chest special features. Go looting at CasinoEuro. NetEnts’s Hall of Gods is a Norse Mythology based and progressive jackpot slot. Here you experience ancient gods like Odin and Thor and their divinely destructive weapons in a battle only worthy of Nordic warriors and their gods. This game has three progressive jackpots up for grabs, so head over to your favourite casino for a chance to win one of them today. Why not go for the big win at Betsafe? Viking themed slots are really worth the try. Most casinos powered by gaming companies that allow players from UK and USA also accept players from the majority of other countries in the world like Australia, Canada and South Africa. There is a Viking themed slot for everyone; whether you are a high-roller or you want to play with a penny. Note that although some slots share similar symbols like hammers and helmets, the value of the symbols is not the same. A high paying axe in one slot could allow be a low-paying feature in another slot.